[As of October 13, 2017, The Iron Yard will no longer be operating.] In the past, The Iron Yard’s students had to choose whether to learn front end or back end development before enrolling in the program. Now with the launch of The Iron Yard’s Web Development Career Path curriculum, students will learn the full scope of coding before choosing which area to specialize in. We chatted with the Director of Curriculum Design, Giovanni Difeterici, to see how these new changes will better equip students for their new career in tech and to learn about his student tips for succeeding at The Iron Yard. As the Director of Curriculum Design, what is your day-to-day and what do you do for The Iron Yard? I design the architecture of our curriculum and the instructional design. I do instructional design for all the resources that instructors use to deliver content and to assess students. On top of that, I coordinate with the other departments for delivery. I coordinate with the product team to build out any new features that we might need to support the curriculum or to explain to them how the material should be presented to students. I also lead the content development team where we have a team of writers and curriculum developers. The Iron Yard has been teaching a bunch of different digital skills for a while now. Why did you make the decision to streamline the curriculum and focus on the Web Development Career Path? Are there any other important differences with the new Web Development Career Path? We’ve decided to adopt a flipped classroom model. The way that model works is, all the things that you would usually do in an individual setting, we're putting those things into the classroom. So when you used to hit roadblocks in your learning while doing your homework, that goes into the classroom. Then things like lectures, which you would usually sit through in class, we're taking that out of the classroom and putting that in the individual setting. Our new curriculum is based on articles and small formal assessments, with secondary material to supplement that. Most of the students’ homework is the following the day's new course material. Instead of coming into class in the morning and getting a lecture, you would read articles, watch videos, and do small activities to get the information that you need the previous night. Students get their lectures at home, then they come into the classroom armed with that knowledge, and spend all day with their team of three to six instructors working on exercises and hands-on, authentic projects. Remember when you hit roadblocks and working on tough problems by yourself? Now you have a classroom full of instructors and mentors to provide you with the feedback that you need to make rapid progress instead of beating your head against a wall for hours. We think that's a very powerful model for supporting a real world experience of learning. What will students learn in this new Web Development Career Path Curriculum? The idea is that, after those first eight weeks, the student has a very clear and complete picture of how things fit together. That complete picture is something that is missing from many different bootcamp models. Now we have a way of giving every student, regardless of the specialty they choose, that complete picture of how everything fits together. I think it will give them a better understanding of how they work with their peers once they get into their first job – they'll understand how to move forward and learn new technologies because they'll understand the scope of technologies that they need to learn. Even though we have one curriculum, the students can choose a specialty in the third four weeks. It's either front-end with React, Java with Spring, or Ruby on Rails. Students all have that same common foundation of knowledge which is great, but they can choose different specialties. It's nice because we don't force them to make that choice early on. Once they've gotten through the six or eight weeks worth of foundational knowledge, they are much more equipped to make a decision about what they want to do in the future. How would The Iron Yard deal with students who still may not be certain what to specialize in? We've been telling students that even if they're unsure before they take a class, it's fine. If they know that they want to go into this field, they should give themselves the opportunity to learn as much about the field as they can before making that specialty decision. We encourage them to get through most of the foundation, most of the front-end and back-end instructional materials before making that decision. If you choose to focus on front-end React, then you're making the decision that your focus will just be to continue doing what you've been doing during the first eight weeks and you will have a single language focus. The benefit of that is that you'll have more time to focus on one thing, but the downside is that you don't have as diverse skills. If you choose something like Rails or Java, then in those final four weeks you won't advance as much in the front end, but you will learn a second set of skills. You'll learn a second programming language. What should students think about when deciding on which language to specialize in? The choice for students is – do you want to have a narrow but deep focus on one subject in front end, or do you want to diversify and have a focus on two separate things? It has its pros and cons depending on the market the student wants to go into or what goals they have. After the first six weeks of the class, we can have a strong conversation about the goals that the student wants to achieve and how best to go about that. I think it's a better fit for the student and for the campus director, who is providing career support, than trying to figure that stuff out before the student has even tried to take that class. What is your idea of an ideal student for this new Web Development Career Path? We look for their willingness to learn, not a particular background. The curriculum is designed for the general public. It assumes that students come with more or less zero knowledge of the technology they're about to learn. So it is a zero-to-junior level programmer bootcamp by design. When I interview students, I look for whether or not they take initiative and pursue the subjects. Have they tried to learn some coding before approaching a bootcamp? What are their motivations? Is it for the love of tech and love of an industry, or to make a strong career change? Or is the candidate just looking for higher salaries that the industry can provide? Salaries in tech can be higher than other fields, but I think that's a bad motivation. There needs to be a balance in terms of the practical understanding a student is able to achieve here. I look for a sense of awareness of what they're getting themselves into – it's a very difficult program. It's very demanding, it requires a lot of time, and can be frustrating, but supremely rewarding. There needs to be a very clear understanding of the amount of work and effort it will require, then I think they’ll be a good fit for our program. Will The Iron Yard keep class sizes the same? Has that changed at all in terms of the student:instructor ratio for this new curriculum? The ratio is about the same, but the composition of our classes is different. In the past, a class composition has been 15 to 18 students with one instructor and potentially one teaching assistant. We now have a different instructional team architecture where two full-time instructors with a diverse set of skills are paired together. One instructor might specialize in Ruby, but have a lot of front end experience. The other might specialize in Java and have a lot of front end and a little bit of Ruby experience. So they supplement and complement each other in terms of their diverse skills. And then, each campus will have between one and four associate instructors. You can think of associate instructors as super-powered teaching assistants. They are able to assess students, give feedback, and provide mentorship, but they take their cues from the instructor team. So each campus will have two instructors and one to four associate instructors. Because all the students are going through the same curriculum, the team works together. If a class is bigger, we will have more instructors to provide that mentorship. 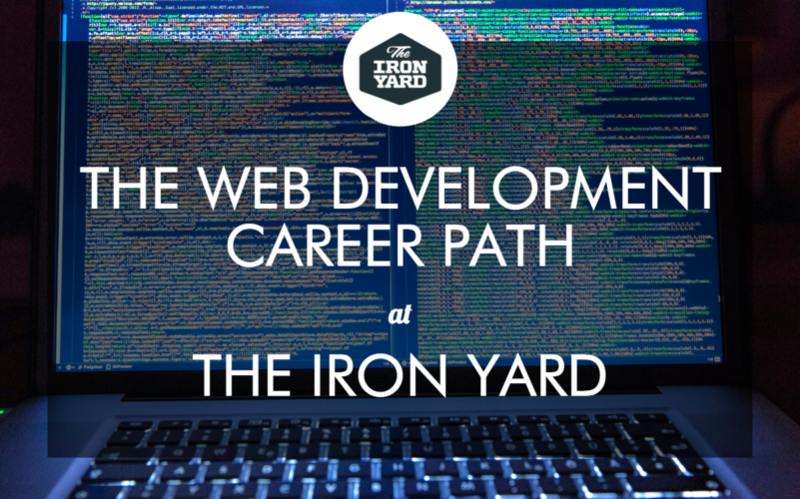 Does The Iron Yard have a new way of assessing or tracking how students are going to progress throughout this new Web Development Career Path? We do. Like most bootcamps, a lot of our assessments are artifact-based with projects. It's a project-based program that tries to provide students with authentic experiences. In addition to that, we have formalized our assessments around more traditional academic approaches to measuring student growth. Students can expect a much tighter feedback loop because we have a strong mix of informal and formal assessments. Most of the feedback is project-based and there is a lot of discussion with instructors. It's a lot of code review, peer review, and self-review of projects, so it's a very diverse set of assessments over time. Iron Yard also has a Web Development Basics course – would you recommend students who are applying to the Iron Yard to take that course as pre-work for the Web Development Career Path? I wouldn't call it pre-work, but taking the course is a reasonable thing to do. When candidates are on the fence, and not sure whether this is industry is for them, we often encourage them to do the Web Development Basics course. 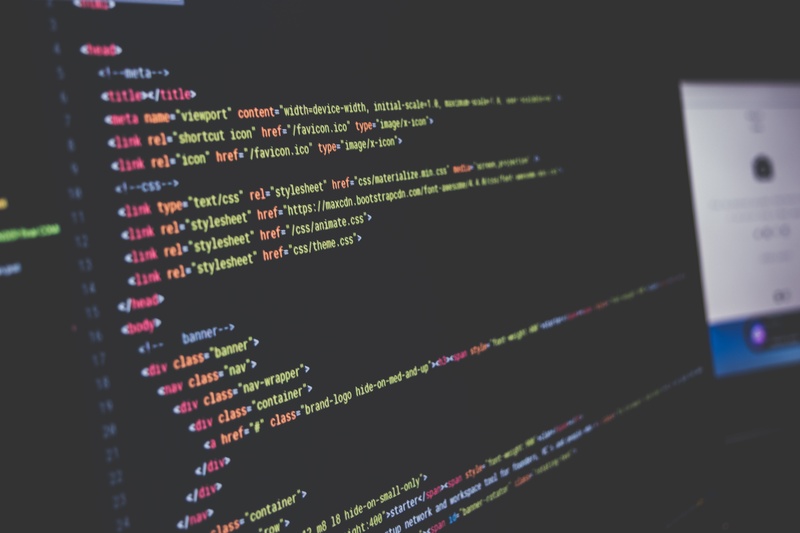 It can be a way to assess if coding is a set of disciplines and competencies that they really want to pursue, it gives them an insight into what it's like to be a programmer, and teaches some of those foundational skills. Programming is its own strange beast and some people love it to death and some people do not. The Basics course is something lower risk with a lower price point that people can do before committing to a long bootcamp that might not get them where they want to go. So sometimes students take Web Development Basics, not as a prerequisite to our regular course but to get a taste of coding. Is there a different way The Iron Yard is approaching career services now that the curriculum has changed? Should students expect different types of jobs? In terms of what outcomes students can expect in terms of hiring, I think they will likely go for the same types of jobs that our students have always gone for. We have an amazing pipeline of hiring partners and interested parties looking for talent. I don't think that will change. What has changed is that there's a concerted effort to build a very structured program around career services. 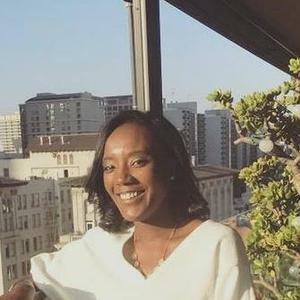 It’s not just, "Hey, let's help you get those first interviews," there’s also a strong emphasis on teaching professional skills that will allow students to get through interviews and get the type of job they want. Another difference is that before, career services was an ongoing thing that happened in parallel to the course. Now, students go through 12 weeks worth of instruction – some flipped classroom time, and some traditional classroom time – and while they're working on their final project, they have much more dedicated time for career services. There is a four-week career services program that is focused very strongly on helping them make that first step into their career. I think it’s a better model for success for students. Since The Iron Yard was one of the first big bootcamps in the US, what’s the biggest lesson your team has learned throughout the years in terms of creating a new streamlined curriculum? The biggest lesson boils down to expectation and assumption. Early inclinations of bootcamps, including our own, made a lot of assumptions about what was valuable to a student and to a hiring partner. Those assumptions were from people who originally designed these programs, but were based on their biased love of particular technologies. However, the needs of students and hiring partners is different from what someone might just love about the industry. What we've learned, which has helped to shape this program, is the thing that most people need, and the thing that most people are looking for, is high levels of reasoning skills. Employers need people who can solve problems using technology, and can learn rapidly in a team environment to evolve their set of competencies over time to meet the needs of the business. The reality is that if we teach a finite set of very specific technologies and skills, like focusing exclusively on a particular stack of Java, then every student that leaves the program only knows Java. The very first thing they’d have to do is learn how the company that hired them does everything, and that might mean learning a completely new stack. Instead of focusing on the technology, we focus on concepts that guide the technology and the ability for the student to learn those things. Teaching how to function in this industry is equally, if not more important than the specific technology that the student has learned. What advice do you have for students who are embarking on a coding bootcamp? What are some tips to get the most out of their learning, especially if they're trying to change careers paths? The most important piece of advice for a student in a program like this is – be your own agent of learning. With traditional education, the agent of learning is the instructor who gives you lectures. It’s a passive experience where they are disseminating information to you, which you consume and act upon. But the truth is, the student should be the agent of learning. Students need to take a very active role in the learning process – they should ask questions and never wait for information to be given to them. Students should consider their instructor to be a resource, and not the principal agent of learning. The more active a role students take in their own learning, the better off they will be. They will learn more, and learn the essential skill of self-learning so they can continue to learn throughout their career. An indicator of long term student success is how engaged and self-sufficient they are within that learning process. My last piece of advice is sleep! Students have a tendency to grind themselves down and it's less productive than they think because they're mentally not able to absorb information. You need breaks. Don’t feel guilty about taking time to recoup and regenerate when you've been cranking away in a program that demands 70 hours a week for three months. Read Iron Yard reviews on Course Report and be sure to check out The Iron Yard website!